How are you guys? How was your weekend? Today I will review my Soniclear from Michael Todd. 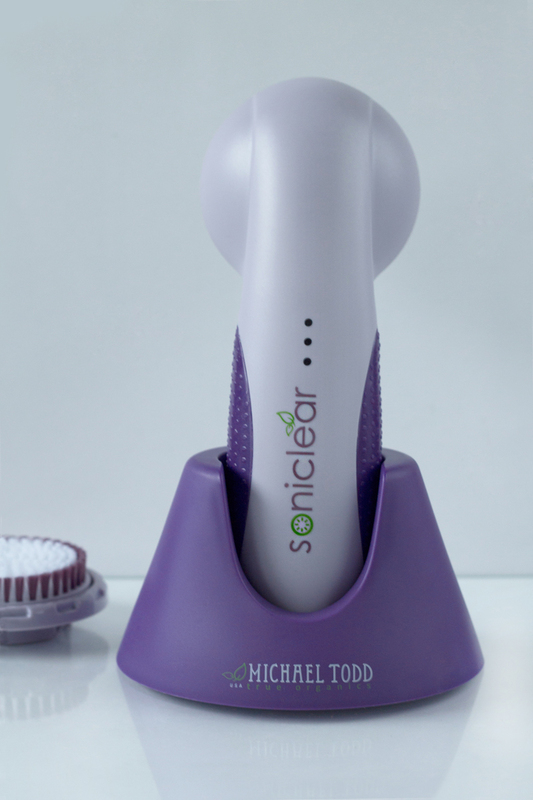 Soniclear is world's first powerful antimicrobial sonic skin brush even for sensitive skin and it comes with 2 different heads (face brush head and body brush head) and universal charging dock. 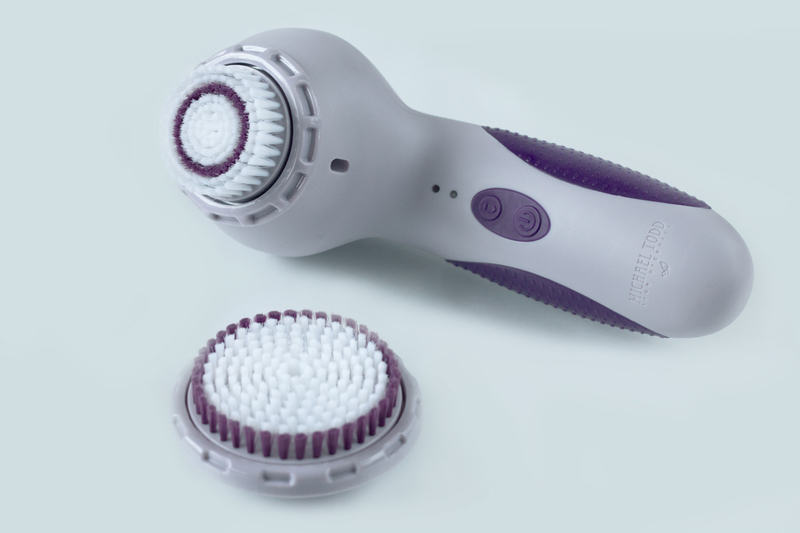 Soniclear proviedes a choice of 6 cleansing speeds: 3 facial brush speeds and 3 body brush speeds, up to 300+ micro-massage movements per second. Doesn't this sound great?! How to use it? It's very simple, just wash your face and the face brush with warm water. Apply your favourite cleanser to the brush head and turn your Soniclear on. 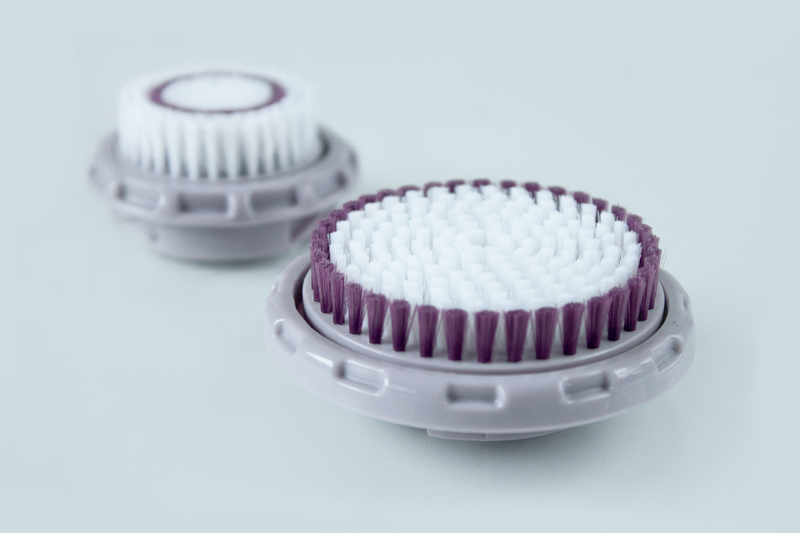 Both brush heads are antimicrobial, safe and long lasting brushes. It's recommended to change them every 6 months. I have noticed a huge difference in my skin since using it. My skin feels wonderfully smooth and clean and my skin tone is improved. It helps to reduce fine lines and wrinkles completely. When the brush is in motion it will beep every 20 sec reminding you to switch to a different part of your face or body, pretty cool right? Soniclear is waterproof can be used in the shower! This product doesn't come with batteries, it's rechargeable and it's powered by a rechargeable battery and comes with a lovely purple charging dock. I received Soniclear device using Tomoson.com. I am so happy with my Soniclear and I want to share with you guys a coupon code of 20% off any purchase on Michael Todd.